The 80 meter long ro-ro passenger ferry Lærdal ran aground on the Sogne Fjord off Dragsvik, Norway. 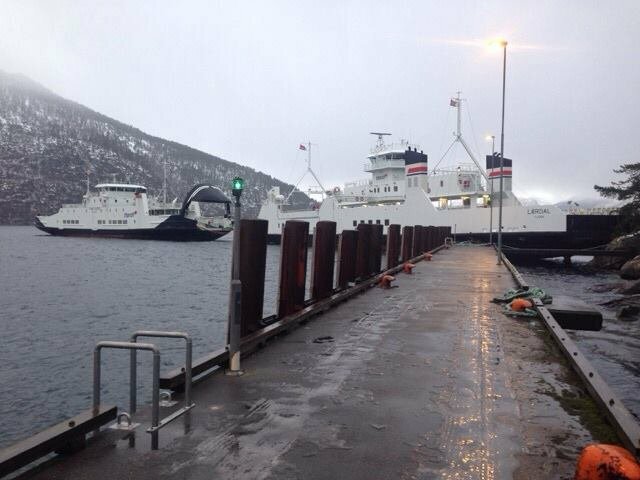 The ferry had suffered a malfunction while attempting to berth causing the Lærdal to veer off and run aground. No reports of injuries to the 7 persons on board. Another ferry arrived a short time later and pulled the Lærdal free. The Lærdal proceeded to dock in Dragsvik and began inspection for damage.